The Donald side tables can be used for depositing your mobile devices. 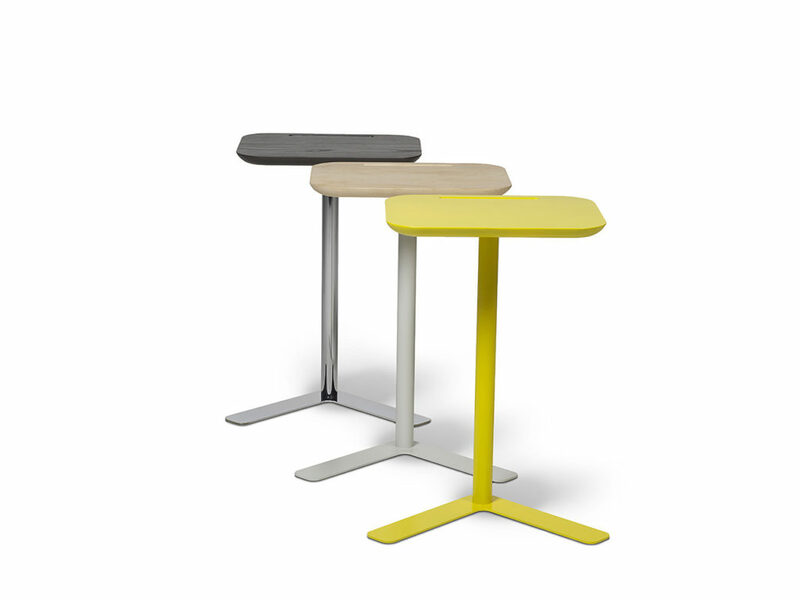 They are ideal for use as a table next to an armchair or in combination with our Oros conference bench. Due to the light construction, they are easily movable but still feel good thanks to the V-shape foot that is reminiscent of the foot of a duck. 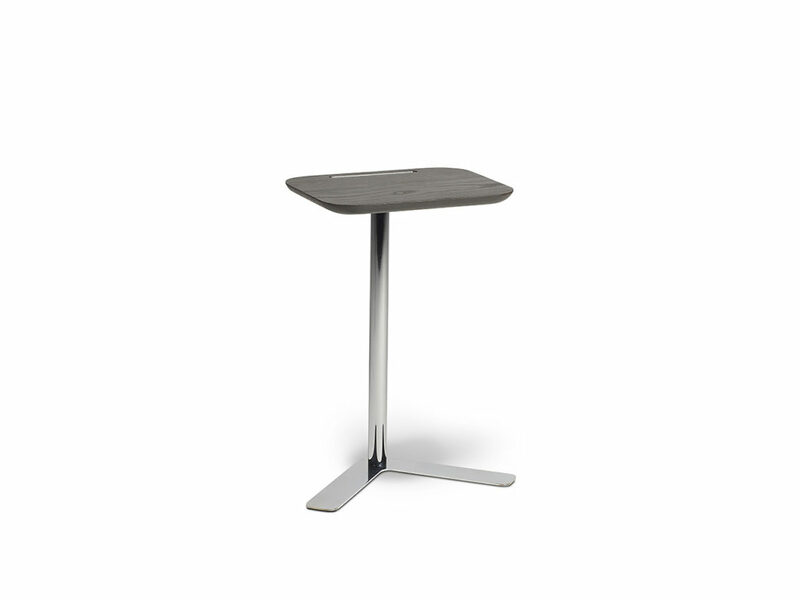 That is why this item is called ‘Donald table’. 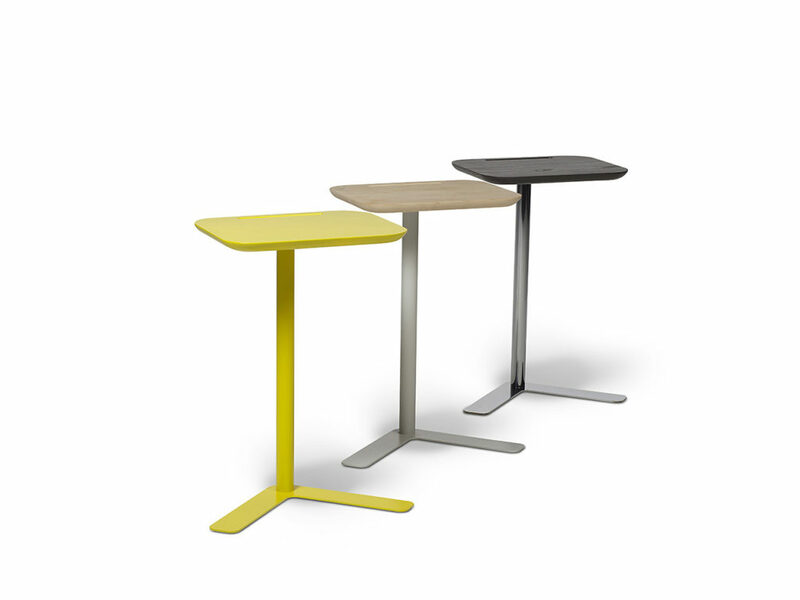 The top is made of lacquered MDF or in a laminated wood structure of dark oak or in light maple. 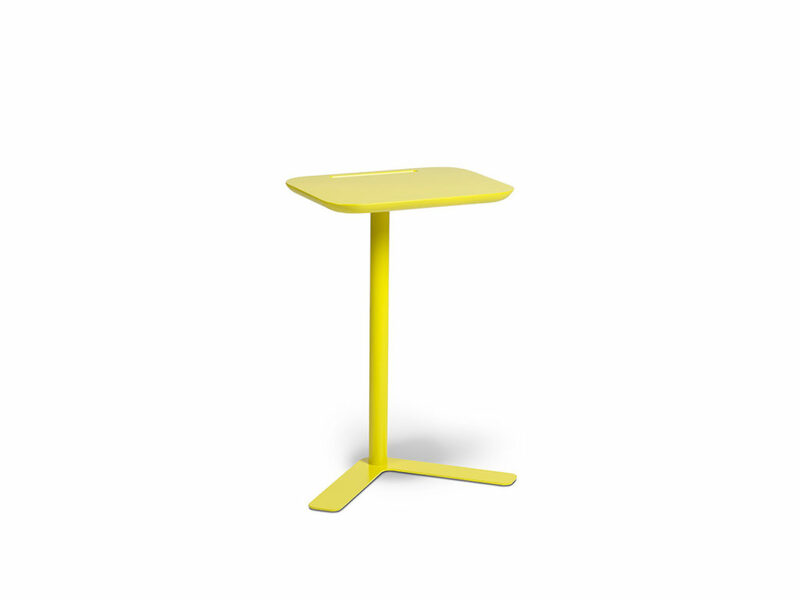 The base can be made in painted yellow or in shiny chrome.